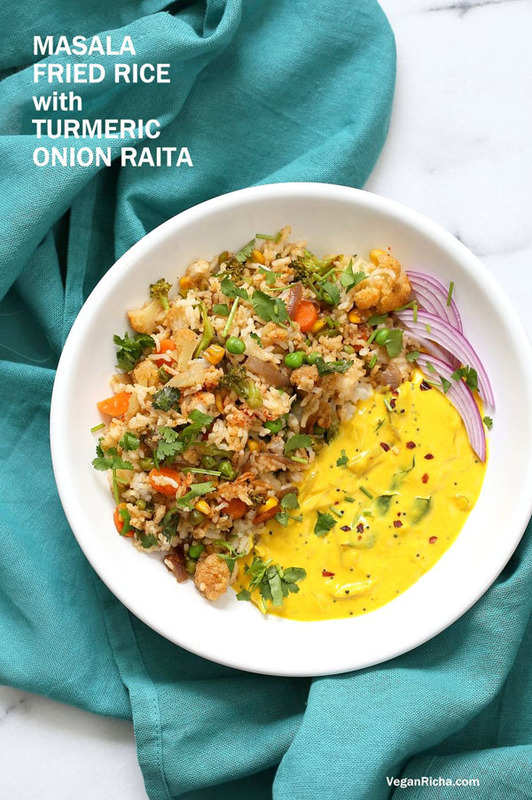 These are 4 different fried rice recipes can be cooked with all basic pantry available into you kitchen. 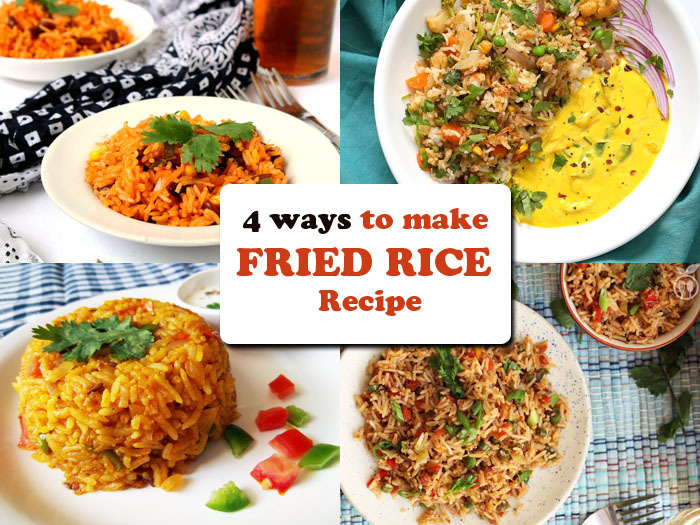 Here, I am choosing 4 different ways to make fried rice or you can say, 4 ways to use leftover rice because all 3 recipes can be cooked using leftover rice. This is my innovative recipe. 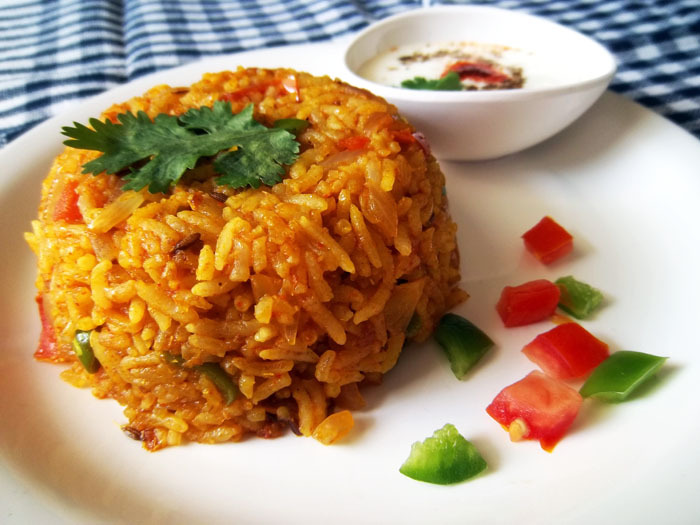 I changed the authentic “Tomato Rice” or “South Indian Tomato Rice” with this tomato capsicum twist. 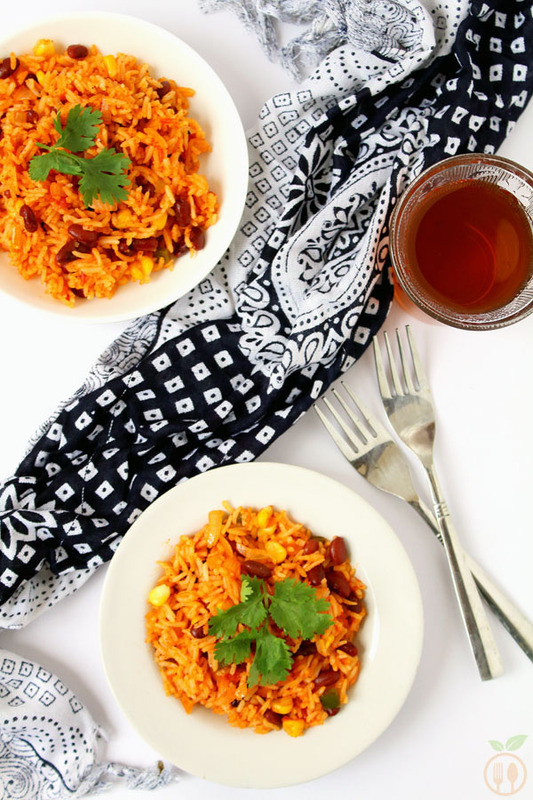 This is the fastest way to use leftover rice in my kitchen!!! I hope it may become yours also. Try this recipe and please send me feedback. I tried Mexican Rice at lest 4 times in restaurant, try to understand the actual taste if Mexican cuisine. Then I cooked Mexican Fried Rice Recipe at home, and I got success in first shot! I am so lucky in that case, since then I am big fan of Mexican Recipes. The key of this recipe is nothing. This is so easy to make also just 15 minutes recipe. You can add any veggies you like. I made Mexican version of fried rice, then beans and corn may add best flavor of Mexican cuisine. The simple recipe always tastes great. 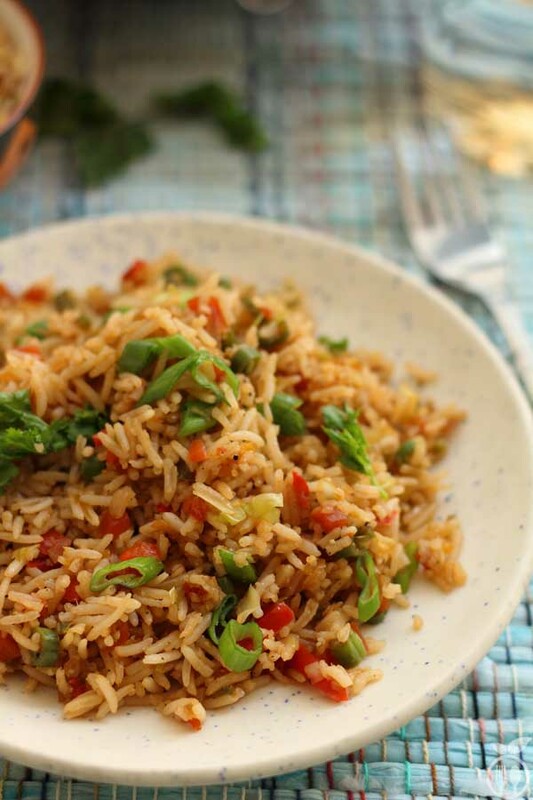 Masala fried rice recipe uses the basic Indian spices and mainly GARAM MASALA. I liked this recipe a lot. It also ready in 30 minutes! The woman Richa behind the veganricha.com is great cook. She has done fantastic job with Indian cooking and foreign Ingredients. I love her all vegan recipes. You should try this masala Fried Recipe with raita. Sometime I intentionally cook more rice to cook vegetable fried rice or other recipes. Especially during the winter, I got green vegetables mostly leafy vegetable in local market. In those green onions or scallions is one of my favorite. This fried rice also served as one pot meal.